Always look for organic, GMO-free oils and avoid dangerous, “partially hydrogenated" (trans) fats. Many conventional cooking oils are extracted from plants with industrial chemicals such as hexane. Cold-pressed oil, extracted mechanically from the plant or seed using pressure, is typically healthier. Some oils are refined so they can better withstand heat, but refinement reduces nutritional value. 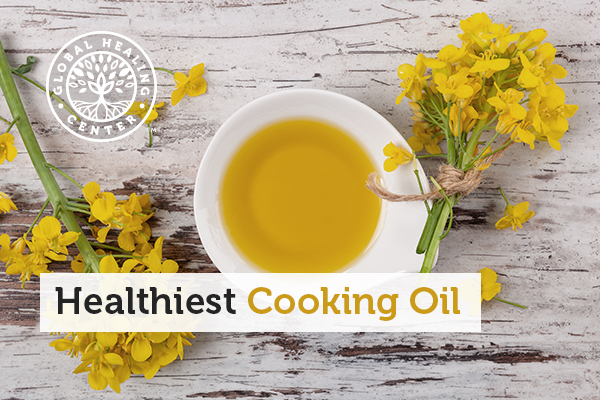 With most cooking oils, you'll find that one tablespoon contains around 120 calories and 14 grams of fat. Oil that's high in monounsaturated fatty acids is a staple of the Mediterranean diet, which has been shown to extend length and quality of life. They tend to be higher in omega-3s than other types of oil and usually solidify when refrigerated. Extra virgin olive oil (EVOO) comes from olives and contains mostly monounsaturated fat. “Extra virgin" means it's an unrefined oil in a natural state, not treated with chemicals or heated. EVOO has a rich, distinctive flavor and a smoke point of 375 degrees Fahrenheit. While you can cook with it on the stovetop, other oils may be a better choice for frying or high-heat cooking. Extra virgin olive oil contains the highest amount of health-protecting monounsaturated fatty acids of any oil, along with vitamins A, D, E, K, and beta-carotene. It's rich in polyphenols, a type of antioxidant. Some studies have found that the compounds in EVOO have anti-cancer properties. Refined olive oil is lower quality and loses some of its antioxidants and other nutrients in processing, so stick with EVOO. Organic grape seed oil is a healthy cooking oil derived from, you got it, grapes. Grape seed oil is high in vitamin E and antioxidants and is known to deter harmful organisms. Studies have found consuming grape seed oil reduced systemic redness, and also improved insulin resistance in the body. Make sure to pick cold-pressed or expeller-pressed choices because other options involve chemical processing which introduces harmful polyaromatic hydrocarbons into the oil. Don’t confuse it with rapeseed, a similarly named oil that comes from another plant entirely, but is not a healthy option. Best Uses: Grape seed oil has a smoke point of 390 to 420 degrees, so you can use it for sauteeing and other high-heat cooking, but it also works well in a homemade salad dressing recipe. Made from sesame seeds, this oil has equal amounts of polyunsaturated and monounsaturated fats. Its nutty, fragrant flavor best complements South Asian, Middle Eastern, and African cuisine. It has a smoke point of 350 (unrefined) or 450 (refined) degrees Fahrenheit. Sesame oil has an extremely high antioxidant capacity, meaning it's good at fighting free radicals. Although it has anti-inflammatory properties, it's also higher omega-6 content than some other oils, so use it in moderation. Pressed from walnuts, this oil has a rich, nutty taste. Its smoke point is 320 degrees Fahrenheit. 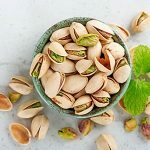 It's high in the essential fatty acid ALA and boasts an antioxidant called ellagic acid, which research suggests may be an important nutrient in the fight against cancer. As a good source of important nutrients, including B vitamins, vitamin E, selenium, iron, and calcium, walnut oil may even help stabilize hormone levels. Best Uses: Walnut oil's flavor and texture make it good for low heat uses such as baking, marinades, dressings, or atop whole-grain pasta. An integral part of tropical cuisine, coconut oil is extracted from coconut flesh. You can buy unrefined extra virgin coconut oil or refined coconut oil for a more neutral flavor. Its smoke point is 350 (unrefined) and 450 (refined) degrees Fahrenheit. Studies have found that, despite being 92 percent saturated fat, this oil has excellent health properties. 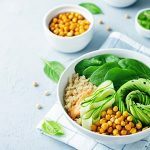 For starters, it boosts your body's "good" HDL cholesterol, and is rich in lauric acid — a medium-length long-chain fatty acid that resists harmful organisms, boosts metabolism, and protects brain health. Coconut oil contains medium-chain fatty acids (MCFAs), which make it easier to digest than other types of oil. On the other hand, coconut oil does raise "bad" LDL cholesterol more than unsaturated oils but less than butter. This oil is as bad for you as it is for the tropical forests, which are being cut down for palm plantations. Not only does it have more grams of fat per serving than other oils (22 grams vs. 14 grams), but it also consists almost entirely of saturated fat. Like soybean oil, palm oil is found extensively in packaged foods. You can sometimes find sustainably-harvested, organic varieties, but if it's not clearly labeled as such, avoid it. Made from seeds of the cotton plant, which aren't edible, this polyunsaturated oil can contain residue of chemical fertilizers and pesticides used to grow the cotton. More than half of the fatty acids it contains are omega-6, and it's higher in saturated fat than most polyunsaturated oils. Peanuts often contain aflatoxins, chemicals responsible for severe allergic reaction in some people. 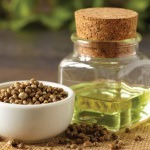 The oil contains high levels of omega-6 fatty acids, which cause inflammation in the body. Peanut oil is also prone to oxidation, which means the fat goes bad on the shelf — often without you realizing it. 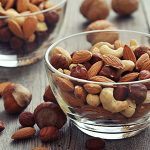 Peanut also has been linked to high rates of atherogenicity — a fancy word for hardening of the arteries — in studies involving primates, rats, and rabbits, possibly due to its high levels of lectins. The best cooking oils are fresh, organic, and cold-pressed. They're rich in omega-3 fatty acids and stand up to the level of heat you plan to use. Olive, avocado, and peanut oil are mostly monounsaturated fat and excellent choices. Sesame and walnut oil are also excellent choices for cooking. Flaxseed oil, which is high in omega-3 fatty acids, is a good option for low-temperature uses, like salad dressing. Coconut oil contains mostly saturated fat, but its lauric acid content provides health benefits including boosting “good cholesterol." Simopoulos AP. The importance of the ratio of omega 6/omega 3 essential fatty acids. Biomed Pharmacother. 2002 Oct;56(8):365-379. LeGendre O, et al. (-)-Oleocanthal rapidly and selectively induces cancer cell death via lysosomal membrane permeabilization. Mol Cell Oncol. 2015 Jan; 2(4):e1006077. Del Gobbo LC, et al. ω-3 ω-3 polyunsaturated fatty acid biomarkers and coronary heart disease pooling project of 19 cohort studies. JAMA Intern Med. 2016 Aug; 176(8):1155-66. O'Keefe S, et al. Levels of trans geometrical isomers of essential fatty acids in some unhydrogenated U. S. vegetable oils. J Food Lipid. 1(3):165-176. Kritchevsky D, et al. Lectin may contribute to the atherogenicity of peanut oil. Lipids. 1998 Aug;33(8):821-3.